Loads of ‘new’ super-massive Black Holes — A team of international astronomers has been hunting for ancient, supermassive black holes and discovered 83 previously unknown quasars. ~ OK, just try not to upset them. New tools against superbugs in space — For years, scientists have sounded the alarm about a potential nightmare for astronauts on the International Space Station: antibiotic-resistant superbugs that could be even more dangerous in space than they are on Earth. 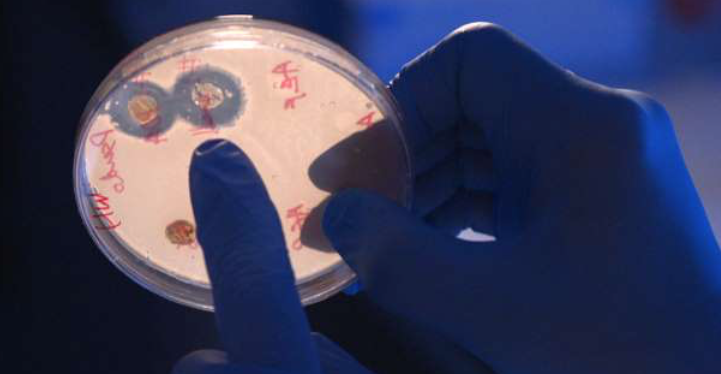 This week, research say they’ve found a way to better prevent such hardy bacteria from growing on surfaces of the ISS. The magical property is called AGXX, a mix of silver and ruthenium. Its developers claim AGXX can more effectively kill off bacteria and other microbes like fungi than conventional silver, while having a lower risk of depositing silver in the environment. The chemical makeup of AGXX even allows the coating to self-regenerate, ensuring that its effects last longer. Kevlar invisibility cloak — Chinese researchers fabricated an aerogel film made of DuPont Kevlar fibres. By itself, the aerogel turned out to be a good thermal insulator, but the researchers enhanced its capabilities by coating its fibres with polyethylene glycol (PEG) and a protective waterproof layer. ~ It’s actually invisible to heat detectors rather than eye sight. Wake-up blue — A team of scientists in South Korea has demonstrated that blue-enriched light can effectively help people overcome morning drowsiness. Humans feel the magnetic field — A new study from researchers at the California Institute of Technology suggests that humans can sense the Earth’s magnetic field, although the strength of the response varied hugely among participants. Magical Irish dirt kills bacteria — Old timers insisted that the dirt in the vicinity of a nearly 1500-year-old church in County Fermanagh in Northern Ireland, an area once occupied by the Druids, had almost miraculous curative powers. So microbiologist Gerry Quinn and his team decided to focus on the Irish soil, they narrowed their search to a specific type of bacteria, called Streptomyces, because other strains of this bacteria have led to the development of 75% of existing antibiotics. ~ This is important as in the United States at least 23,000 people die every year from an antibiotic resistant infection.